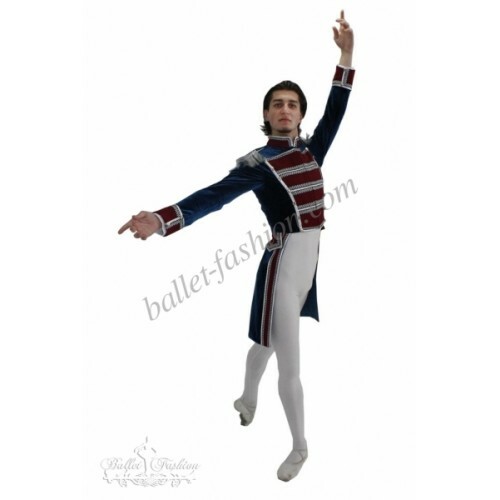 If you would like to place an order, you may send us and email on balletfashion.com@gmail.com or register to receive 10% discount for your first order. 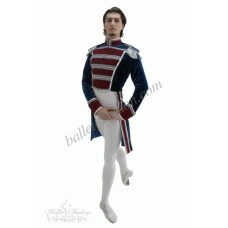 If you’d like to change something in the costume style or in the color combination you may also write it into your first email. After your email is sent our manager will contact you with the confirmation of your order and answers on your questions. 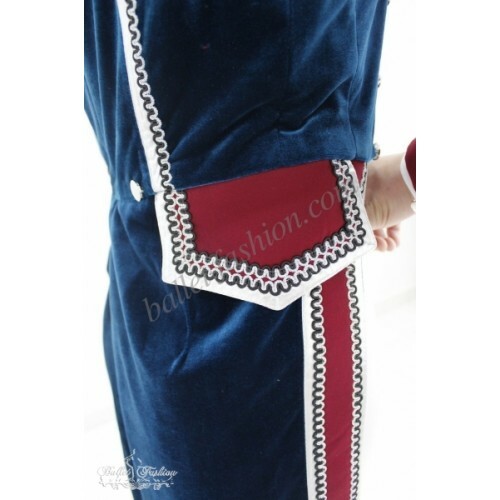 Beautiful velvet jacket with insert on the chest, collar and cuffs made of the satin on the matte side in the contrast color. Jacket fastens in front on hooks. 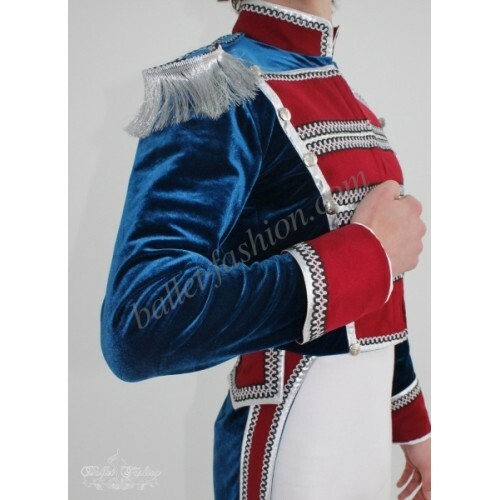 It is beautifully decorated with silver braid and epaulets. 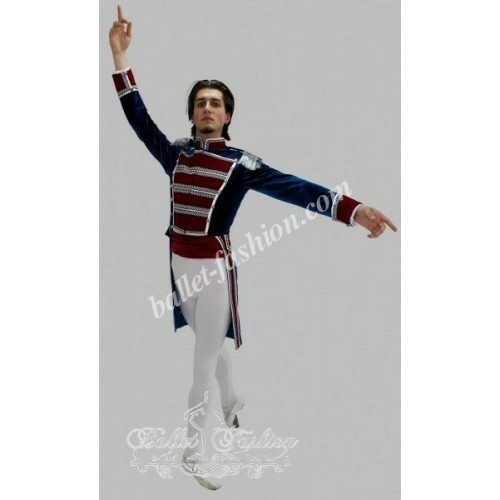 Ballet belt is made of satin and fastens on hooks. 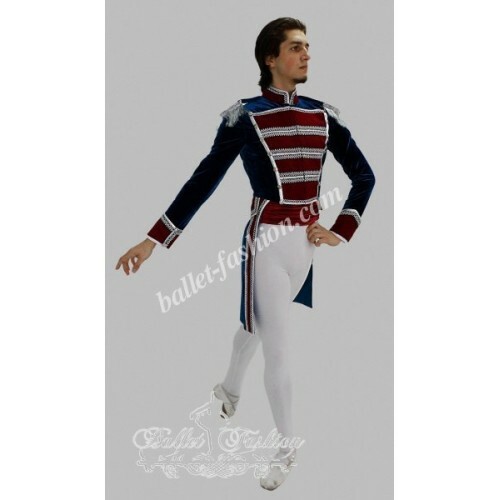 French officer's jacket with long tails was created especially for the Paquita ballet can be used and in the other ballets. 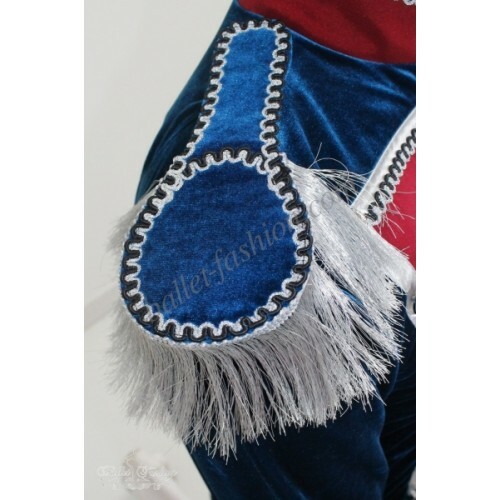 We can propose you extra decorations, for additional charge, but it for sure will make your costume unique and even more beautiful. Also we can discuss with you any changes in the costume style. To discuss all details of your order, please contact our manager. 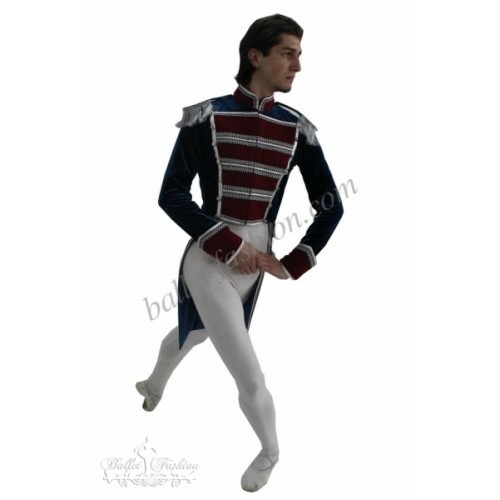 We sew costumes by personal measurements of the dancer, that is why we kindly ask you to place your order beforehand. Actual fabric colors may differ slightly from models pictured on-line. Sequins, stones, beads, and flower decoration schemes may vary slightly from models pictured on-line, depending on materials available.